"Preserving and Promoting the History and Heritage of Royton". To join, just simply turn up! Within the structure of the Society there are other groups which specialise in specific historical aspects. 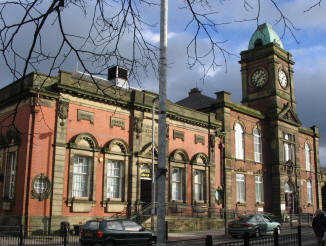 These include a "Family History" section devoted to guiding members through the process of tracing their ancestors, and the "Royton Lives Through the Ages" group whose members have dedicated themselves to discovering Royton's past. The activities and achievements of these groups can be monitored on this site by clicking on the appropriate links.